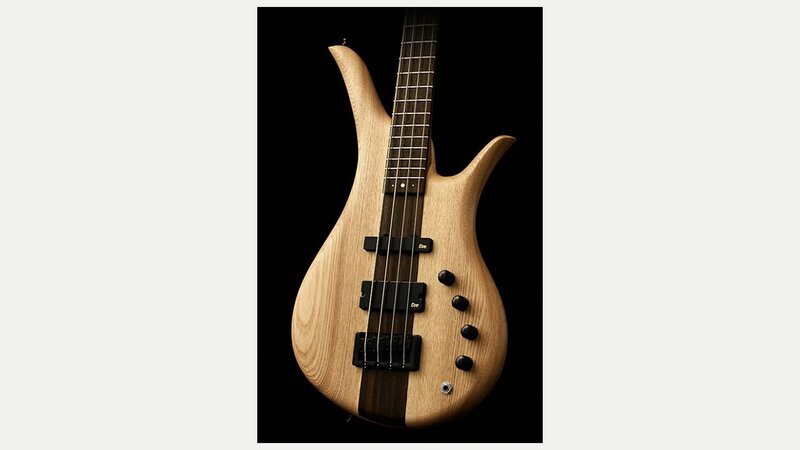 Douglas Mullen operates Eve Guitars from his workshop in the East Coast of Scotland, UK, to produce electric and bass guitars that have the look and quality lost in the mass produced product available today. All materials are individually selected and inspected for quality by hand, and only one person starts and finishes the instrument to completion. They have no computer controlled machines – every instrument is truly hand crafted, and is as individual as you are. Starting 20 years ago, frustrated with the quality of commercial guitars on the market, Douglas began to design and build his own instruments winning awards and critical acclaim for their individuality along the way. The name Eve reflects the originality of the bespoke designs, and the fact that two will never be alike. Ever. Made from the finest woods and components, Eve guitars blend playability, sound and style like no other. All our guitars are individually built and hand finished to satisfy the most demanding standards of design and craftsmanship. All work is undertaken in-house, including our hand rubbed finish with oil and wax to accentuate the quality of the woods used in the instruments construction. All instruments are unique, with even the choice of construction or components influencing every other design decision – keeping each guitar individual and specific to your requirements.